Receive the highest quality business education on your own schedule, from anywhere. Develop key business skills with the same experts who teach in the Mendoza College of Business through our online programs delivered in conjunction with Bisk. Interact with faculty via virtual office hours, chat rooms, and message boards. Notre Dame Online Programs provide a range of certificate options, allowing you to enhance the most important skills you need to succeed in business—negotiation, business administration, management, and leadership. Each certificate course is a maximum of eight weeks in length. If you are ready to expand your business skills and need some flexibility in location and schedule, then the Notre Dame online program options are for you. Plan for 25-30 hours over the course of eight weeks to complete each certificate. "Taking the negotiation classes has helped me tremendously with my everyday work life. It has given me an advantage in average and common situations, as well as extreme ones." The Certificate options consist of one, two, or three courses, each eight weeks long, which build on one another in a step-by-step process to help you develop the business skills you need. "This course really enables me to look at my job performance and realize that I have to change my management style a little to achieve higher effectiveness when managing large corporations and teams. I am planning to sign up for a lot more of these and will get my managers enrolled in these studies as well." To learn more about our online Nonprofit Executive Certificate Program offerings, please visit Notre Dame Online. Upon the successful completion of this program, the participant will receive a document certifying that the participant completed the program. 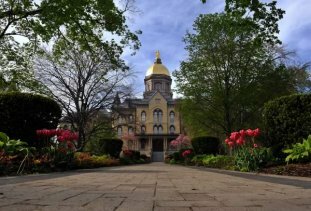 The document will not qualify as an academic credential, and the recipient will not earn any academic credits at the University of Notre Dame in connection with the program. Participants in the program are not students at the University of Notre Dame, and completionof the program does not qualify any participant for status as an alumnus of the University of Notre Dame. Tuesday 31, January 2017 12:14 PM from Mika L.